I bought a new camera body a while ago - a Canon 77D. Since I bought my previous body in June 2010, it was time for an upgrade. 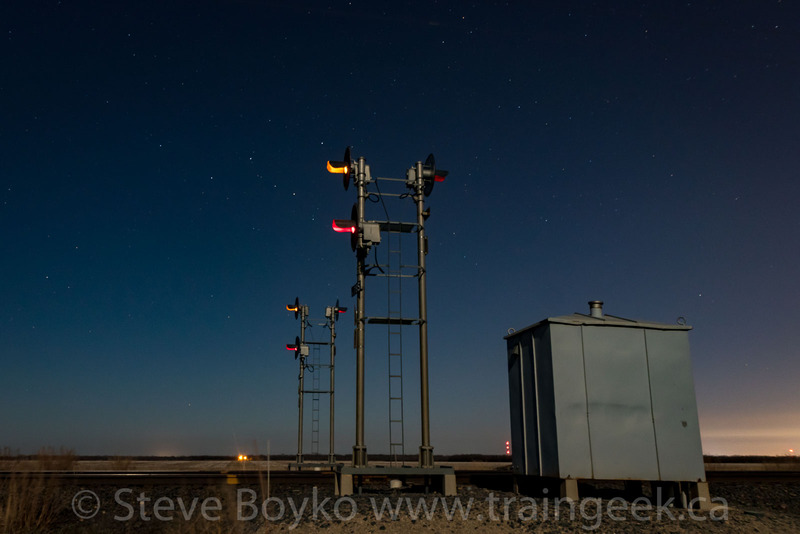 In this article, I'll go through my reasons for upgrading, my camera selection process, general comments about the camera and my experience with low light photography with the 77D. 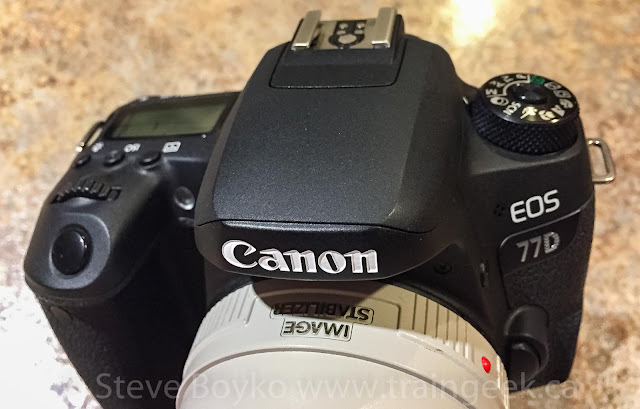 My Canon T1i was and is a great camera. I've taken close to 60,000 photos with it, and I still use it on occasion for video or as a second camera. In fact, I just used it to shoot a half marathon. However, it had a few weaknesses that were really bugging me. The biggest one was that it had poor low light performance. Increase the ISO (increases digital noise). The problem with the T1i is that above ISO 400, it got very noisy and was pretty much unusable above ISO 800. This meant that I couldn't take star photos, especially not Milky Way photos. Also, sports photography in dim rinks weren't really successful. My Canon T1i didn't have a flip out LCD screen either. Beyond the obvious selfie potential, I could see that as being useful for composing shots when the camera was on the ground or other positions where I can't look through the viewfinder. I had decided to continue with a Canon body. If I was starting fresh, I'd pick a mirrorless camera instead of an SLR, but I have a big investment in good glass (lenses) so I am sticking with Canon. I didn't want a full-frame SLR, because one of my two good lens isn't compatible and I had already decided that it was unnecessary for my needs. I had been lusting after a Canon 7D Mk II for a while, but after a little research, I found that the Canon 80D was a better camera for a lower price! Here's a table comparing those three camera bodies, along with my old T1i on the left. LCD Fixed 3" Flip-out 3" Flip-out 3" Flip-out 3"
You can see there are more similarities than differences between the three "7" cameras. I didn't want the T7i because I wanted a higher-end body to resist weather. The 80D seems like the superior camera but its ISO performance isn't as strong as the T7i or the 77D, because it has an older processor in the camera. I went to Henry's and asked to look at the 77D and 80D. I held them for a few minutes then bought the 77D. So far I've taken a little over 3,000 photos with the 77D and I am very impressed with it. It operates very much like the T1i, being another Canon product, but it has some definite improvements. 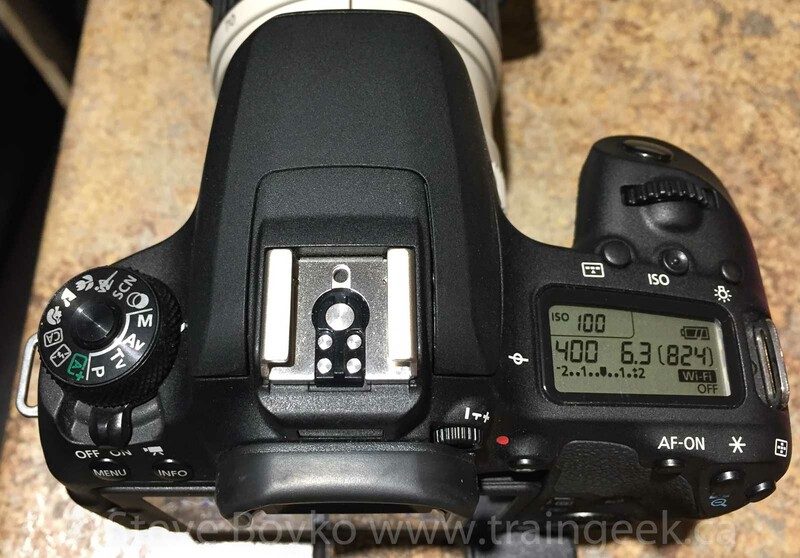 The focusing performance seems better on the 77D, presumably due to the dual-pixel technology that these cameras have. I rarely have a focus miss now, something that I had fairly frequently when using my 70-200mm lens in lower light. I'm also impressed by how well it focuses in lower light, where my T1i would hunt and not focus. One small thing is that the shutter sound is much quieter on the 77D. My T1i's shutter was super noisy, loud enough that it would sometimes turn heads if I took a photo in a quiet room. The 77D is by no means silent but the shutter isn't very loud. A few controls have moved - notably, the power switch - but in general, it wasn't a big learning curve for me to move to this camera. I like that there is a separate button to change the ISO. I wish there was a button to change the focus type between "one shot" and "AI Servo". The 77D has a touch screen. To be honest, I have not used this at all. I've locked it out for the moment, as I am afraid I am going to touch it and change settings that I don't mean to change. Maybe I should try enabling it, as I could change the focus type pretty quickly using the touch screen. 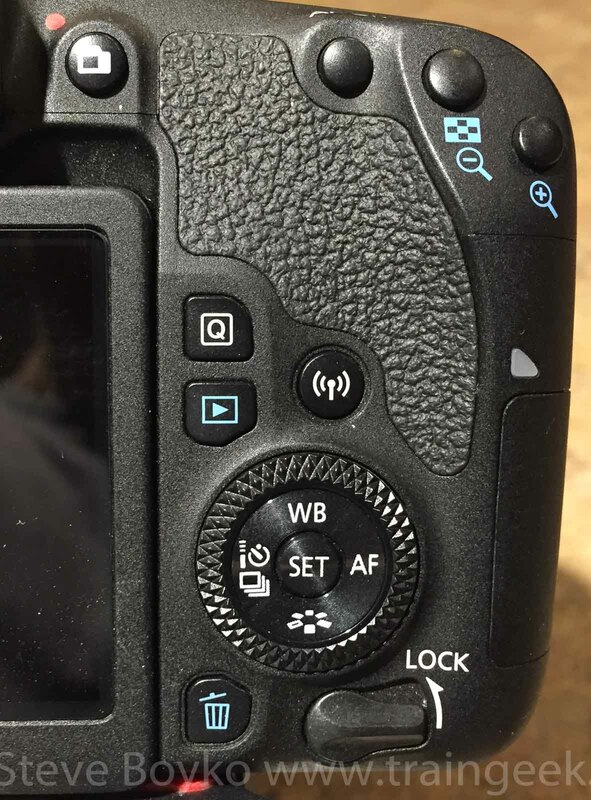 This camera has wireless (wifi and Bluetooth). I've used the app on my phone to receive photos from the camera, but I haven't played with it much. I think it will be more useful as a remote trigger for the camera. More to come. Here's the important part. I bought the 77D primarily to get better low light performance, and it delivers. I'm very impressed by how much better it is in low light, both when shooting at a low ISO and also how well it performs when I shoot at ISO 1600 or higher. 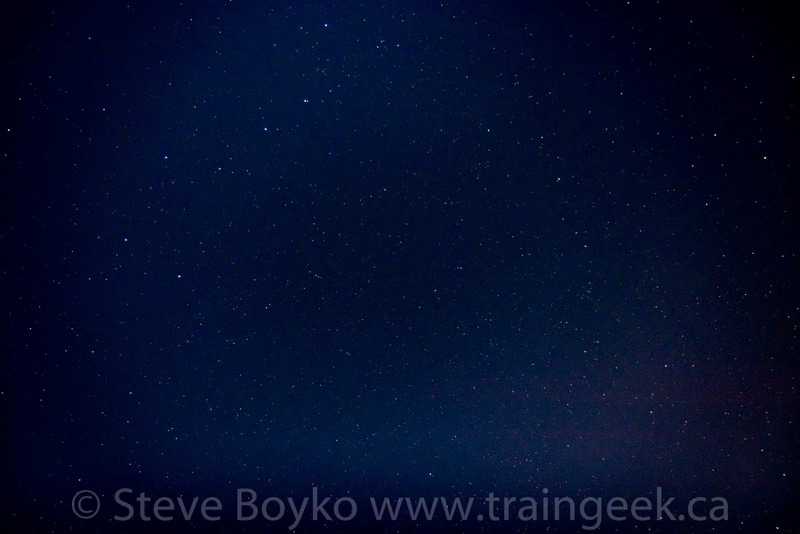 Here's a photo at a ridiculous ISO 25600 - something I would never ever attempt with the T1i. In fact, you couldn't even select it on the T1i. There's some quality issues, but it is still quite usable at such a high ISO. I was also shooting from across the rink! 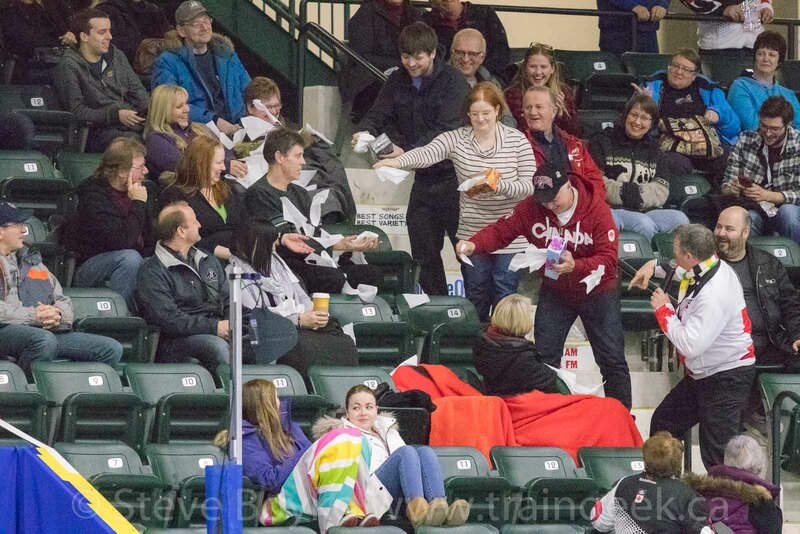 In case you're wondering what's going on here, this was a little game they were playing in the stands during a curling competition in Portage la Prairie. The person who could get the most tissues out of the box won a prize. Here's a more reasonable ISO - ISO 1600. 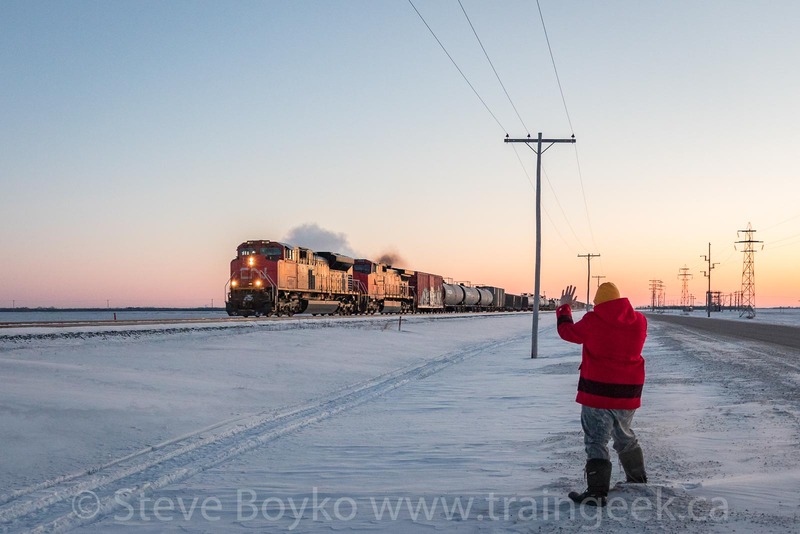 My friend Jason Paul Sailer is giving the wave to a train at sunrise. I'm very happy with the quality of this photo. 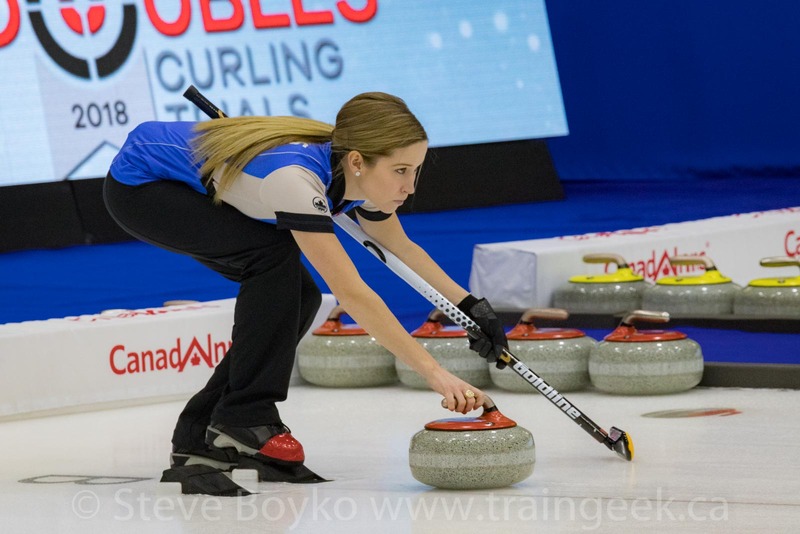 Another ISO 1600 photo - curler Kaitlyn Lawes' intensity is apparent as she is delivering a shot at the Canadian Mixed Doubles Curling Trials in Portage la Prairie, Manitoba. I am super happy with the low light performance of this camera. SummaryI love my new camera! The Canon 77D has met my expectations for low light performance and I've been impressed by its focusing capability and picture quality. I have very few complaints. I was not compensated in any way to write this article. I just want to share my experience with the camera!